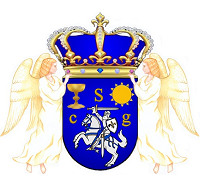 June 13th, 2014 the Sovereign Imperial Royal Order of Count Saint Germain will be founded. Our entire world, our civilization is on the brink of a major process of change whose purpose and consequences only few people know about or can imagine. The year 2012 was the end of the preceding age, the Age of Pisces, which has been mainly characterized by a three-dimensional emotional thinking and willingness. The New Age, the Age of Aquarius, which is also called the Golden Age, means a “New Consciousness in A New Time” – a completely new way of thinking and acting in different situations than we have been accustomed to to date. Everything old must be restructured. We cannot use the same idea to solve a problem that created it. War, poverty, anarchy, disintegration of society is piling up at the horizon. It requires a new world order based on new knowledge, new consciousness, new values, ethical, moral living and a cosmic, spiritual collaboration that transcends all boundaries, prejudices and traditions, in order for us to be part of the new civilization, the 5th in order. 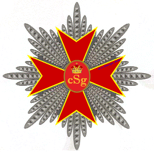 In order to adapt to the new age requirements and its purpose, we have chosen to institute a new order under the name “Sovereign Imperial Royal Order of Saint Germain” SIROSG, with the purpose and goal to provide each leader, royalty or personality a lifetime membership with development opportunities within the IROSG, which is instituted under the patronage of the Imperial House of Montenegro, His Royal Highness Prince Stephan.